21 Aug, 2017 Rakesh Sharma Reviews . 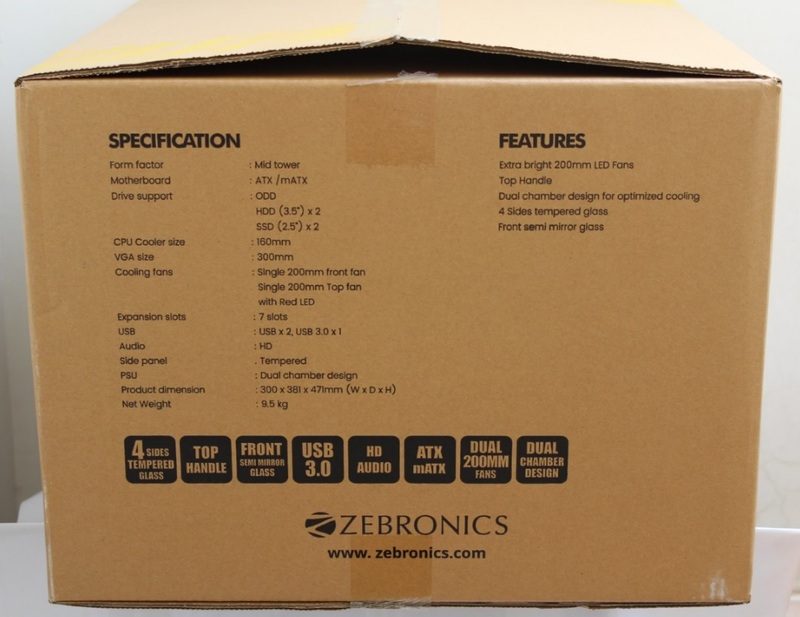 Zebronics a known Indian brand which is making PC peripherals, Multimedia speakers and now surveillance products too and is long providing the Indian PC market with mid to low end segment of PC products especially the PC Cabinets and power supplies. 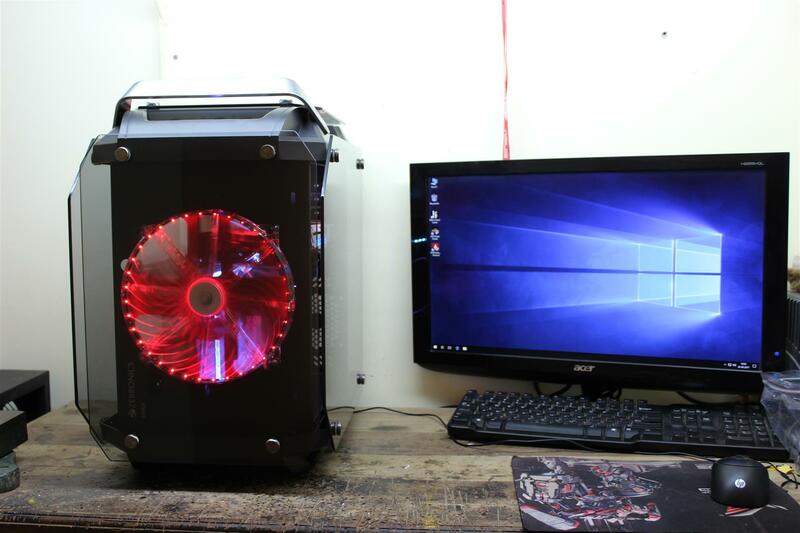 Recently came up with their new Premium Gaming product line with cabinets, keyboard & mouse, headphones and more. From Zebronics with these new products a review request came to me. 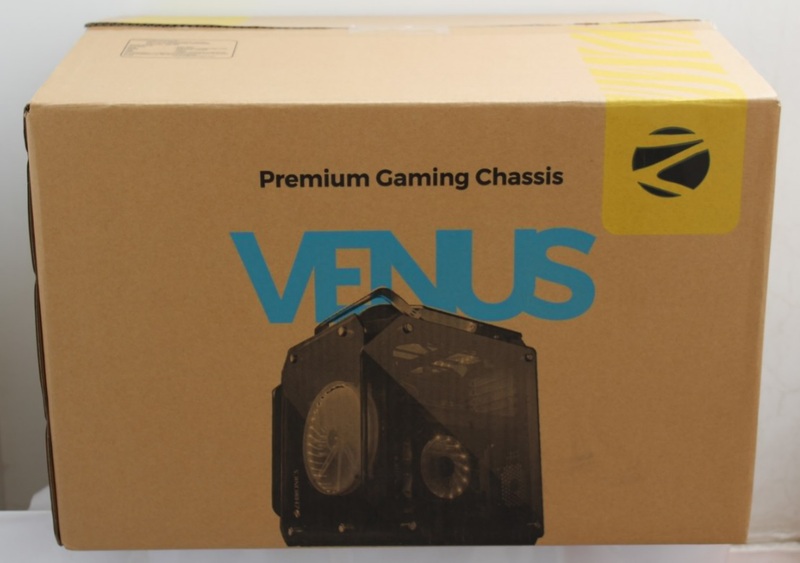 I checked their website for all these products as usual and I can across to a unique two chamber cube type premium case the VENUS. 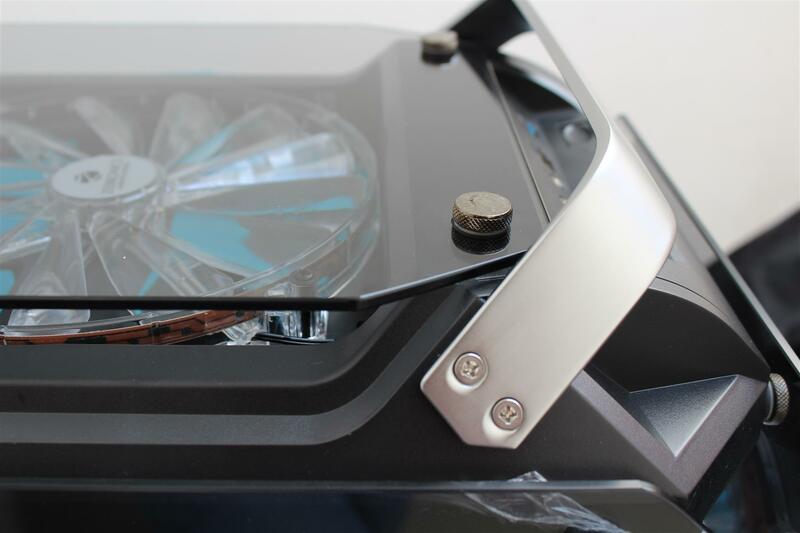 Venus an impressive design case with tempered glass on four side and two big LED fans, I found the case very attractive and asked for a sample of same. And within a week the product arrived at my door steps. So now let’s see what this Zebronics case have for us. 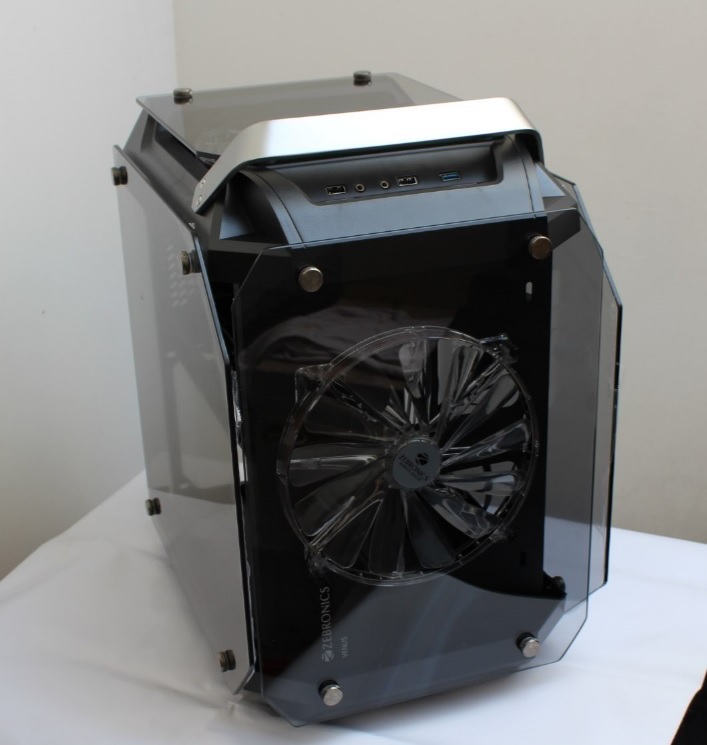 CUBE FORM FACTOR : 300 x 381 x 471mm (WxDxH). Venus is a unique take on the chassis form factor. 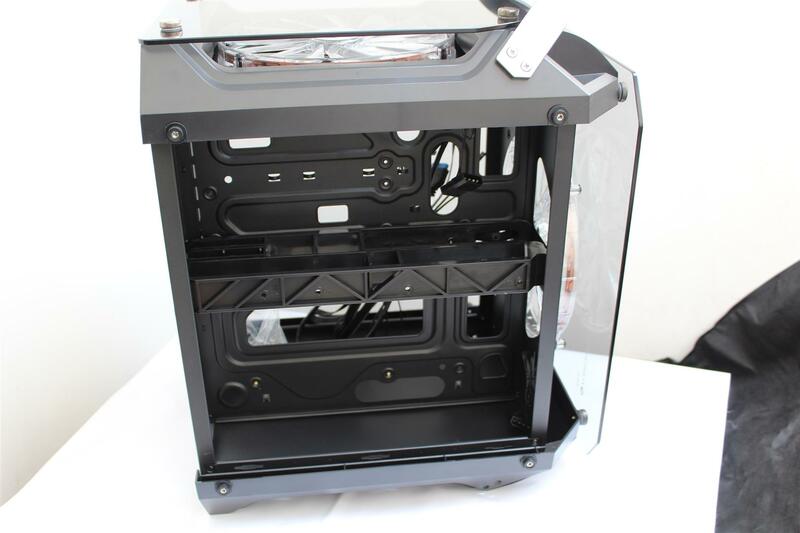 Its a cube shaped chassis, opening up all the space in very compact form factor, its not spacious its cubicious! 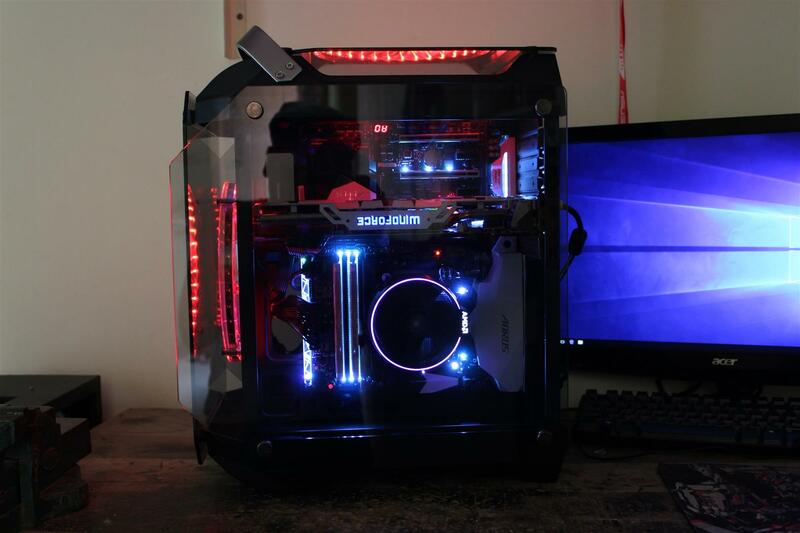 TEMPERED GLASS ON ALL SIDES - Show off all the eye candy inside your rig.Venus chassis comes with tempered glass panel not only one or two but 4 sides. 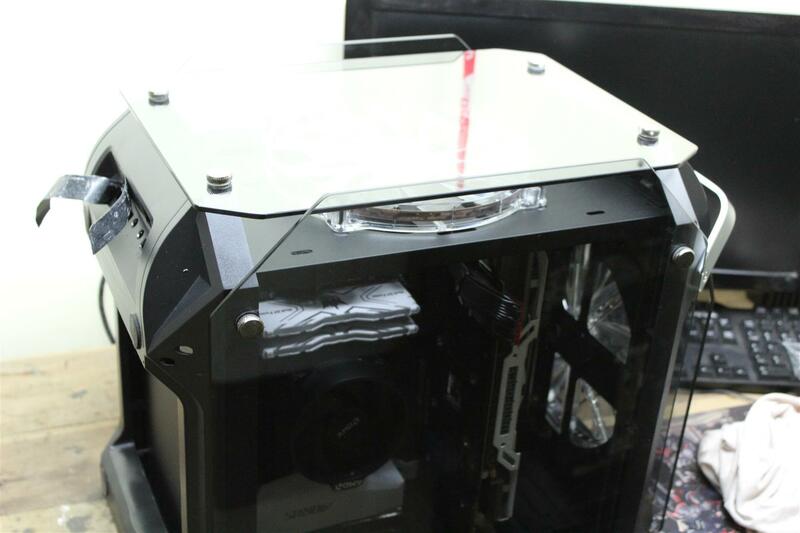 Left and right side panels are tempered glass as well as the front and top panels. LIGHTNING FAST - USB 3.0 port. 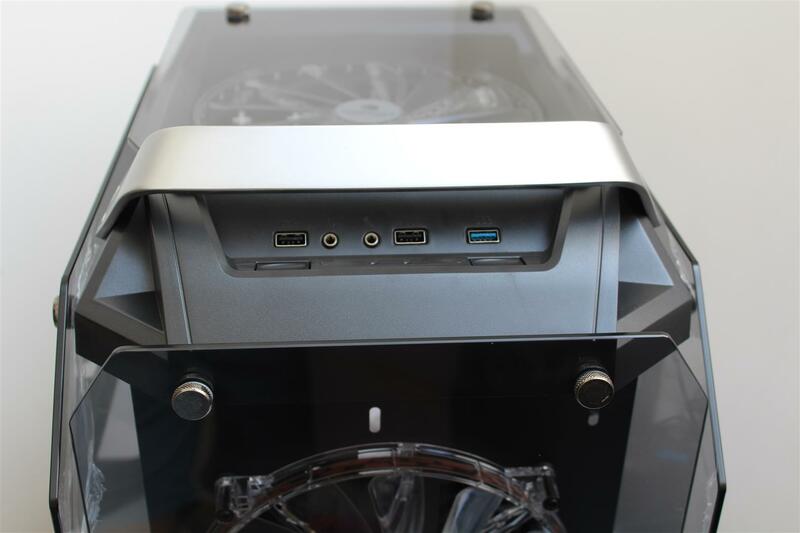 The top panel comes with a USB 3.0 port and a USB 2.0 port. 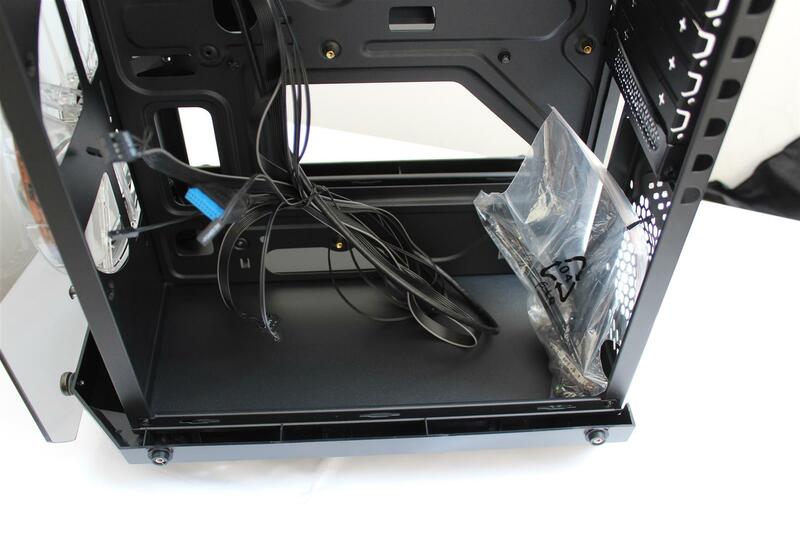 The cabinet also comes with HD audio front panel connector. 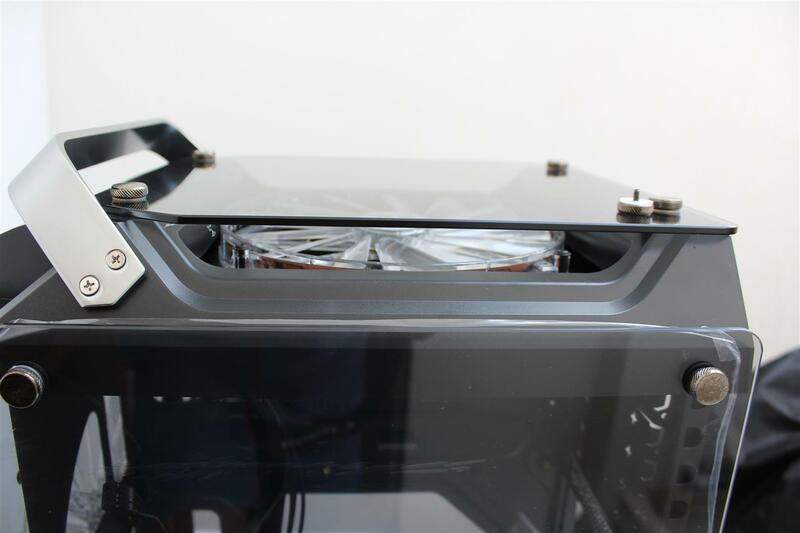 DUAL CHAMBER DESIGN - Separate compartment for motherboard and power supply.Venus comes with dual chamber design. 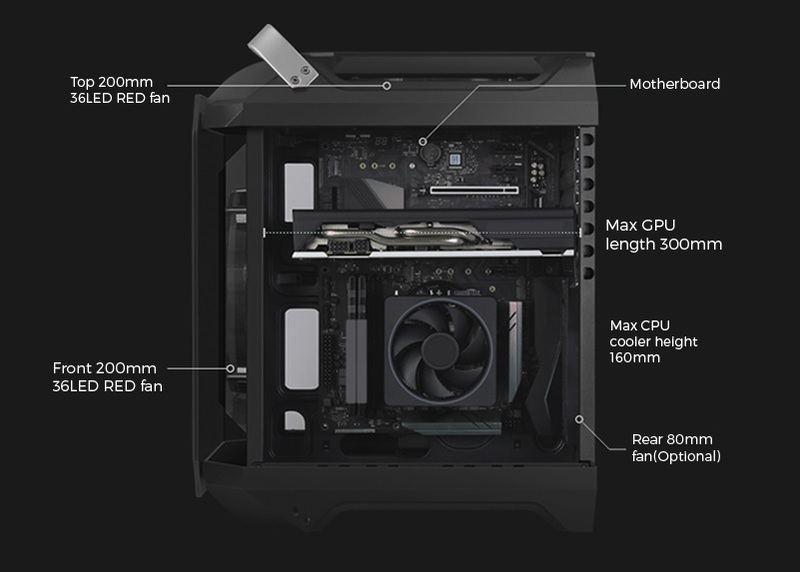 This design not only helps keeping the size very compact but also keeps the temperature in check. 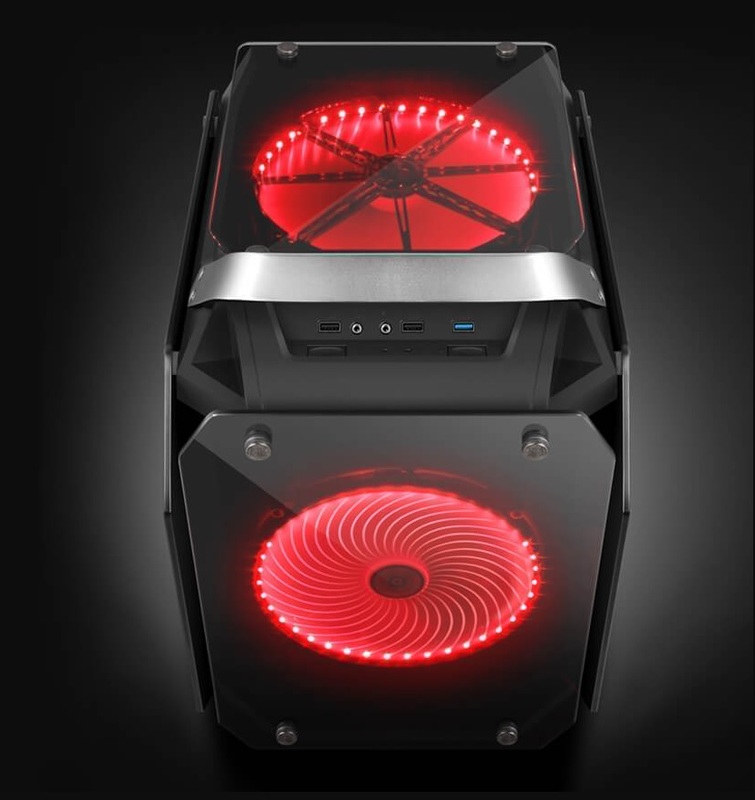 200MM LARGE FANS WITH 36 RED LEDS - Super functional yet very silent. 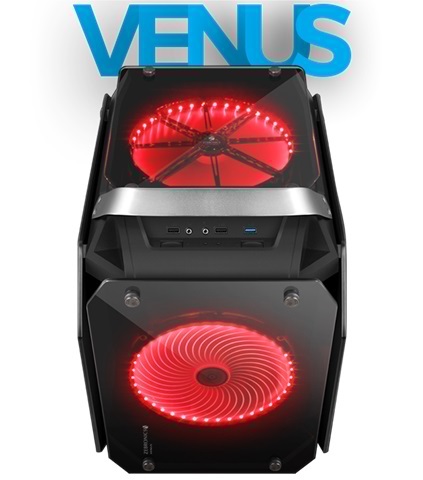 Venus comes with large 200mm fans, these fan move a lot of air still are very silent. 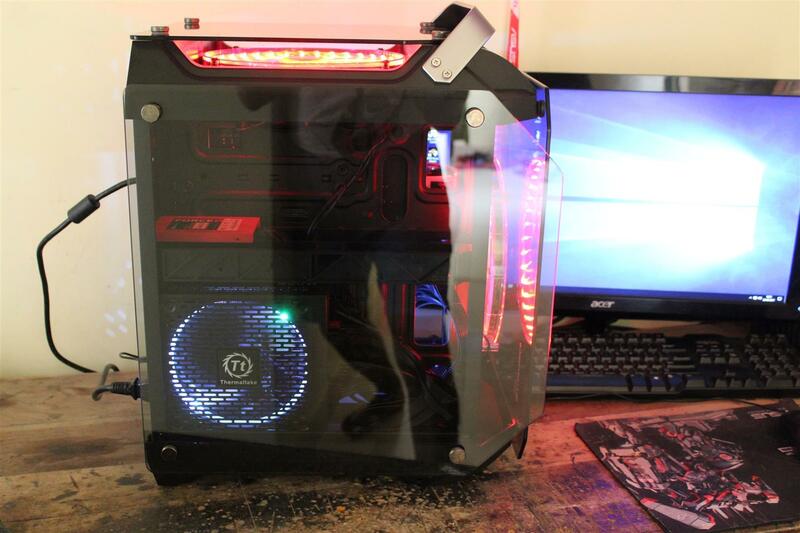 They come with 36 Red LEDs, Its is a exquisite premium gaming chassis that will light up your living room. 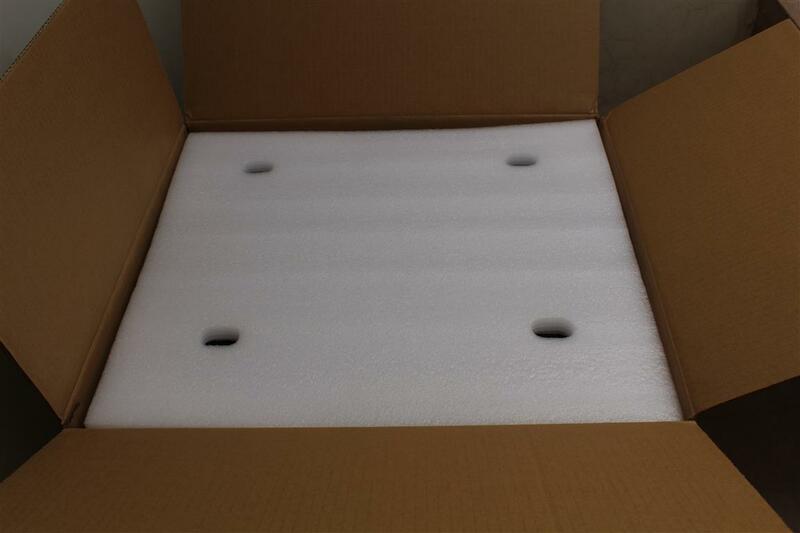 Case comes in a big brown cardboard box with features and product image printed. Case comes in full foam packing with a black cotton bag over it. 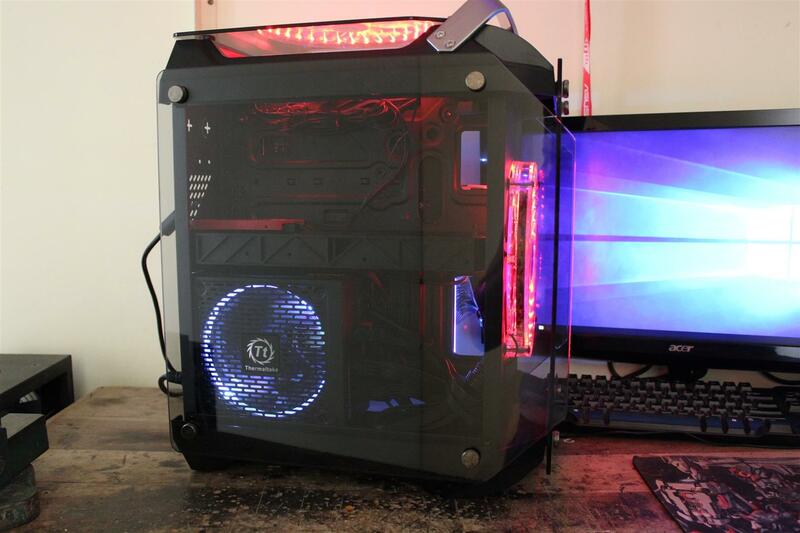 All four tempered glass panels comes with a protective plastic film. 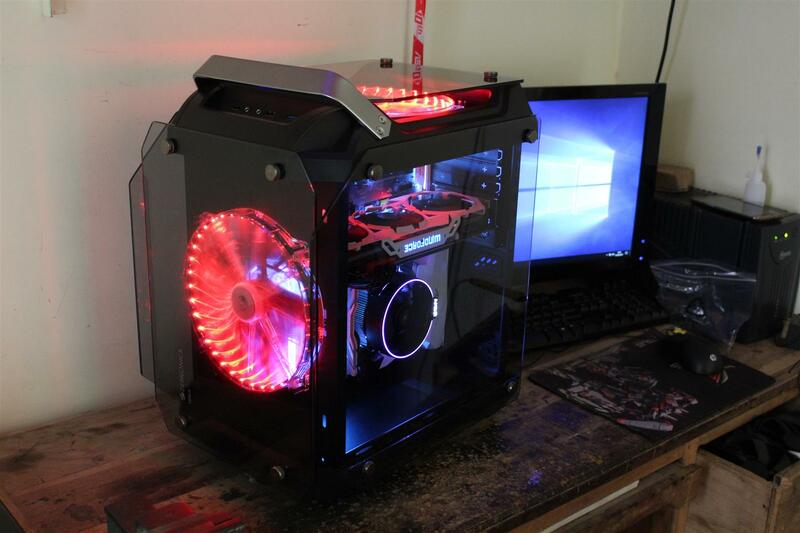 First impression nice case with good quality tempered glass. 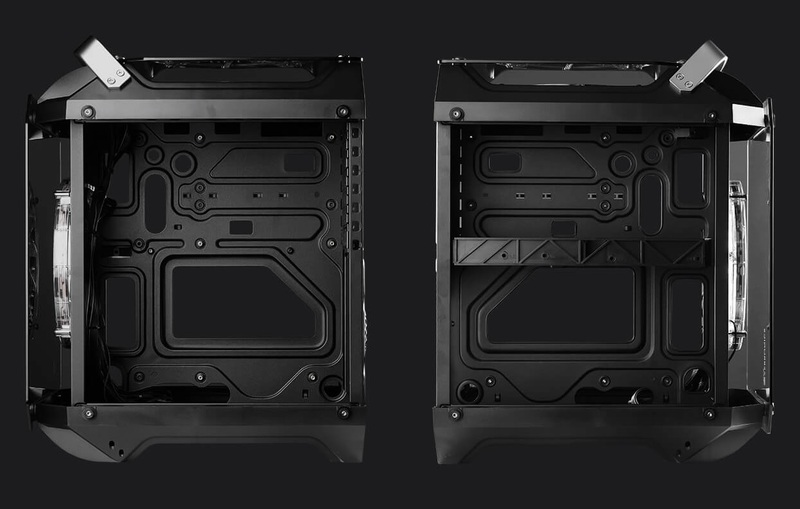 All four panels are kept in place via four rubberized big thumb screws on each panel. 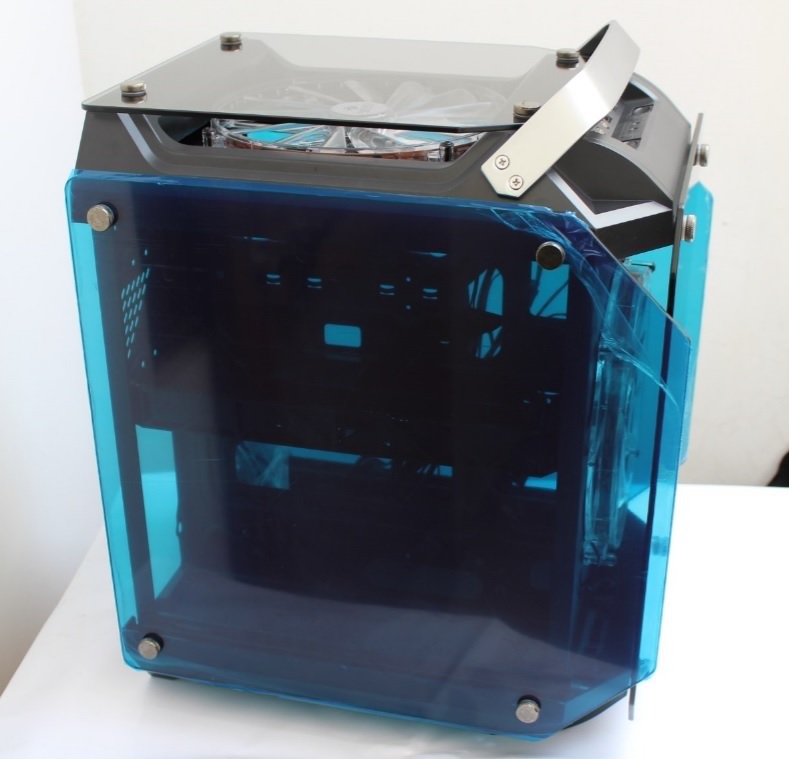 The top and bottom panel are made up of plastic, don’t know the type of composite plastic used in making these so can’t tell exact about the quality, seems not a super good quality but not very cheap too. Plastic panels are very rigid with decent thickness. 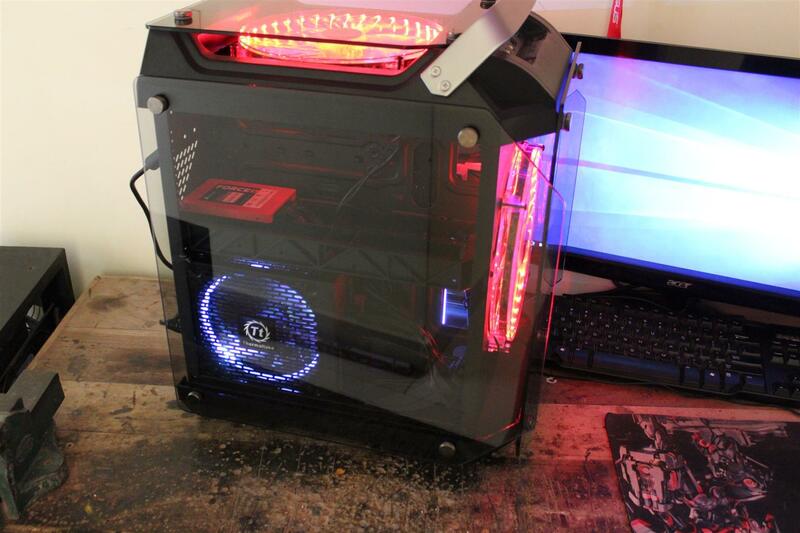 Big 200mm fan with LED is powered via a molex connector. No option to control or monitor fan RPM i.e. 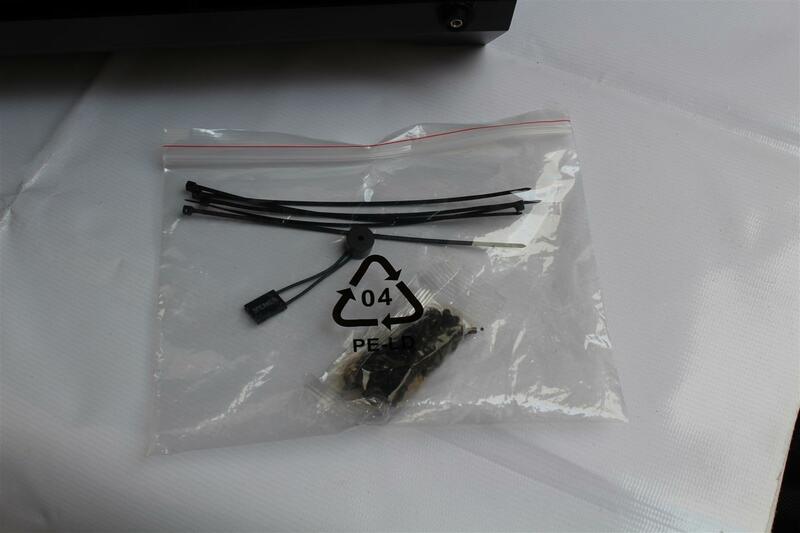 no three pin fan header type connection available. 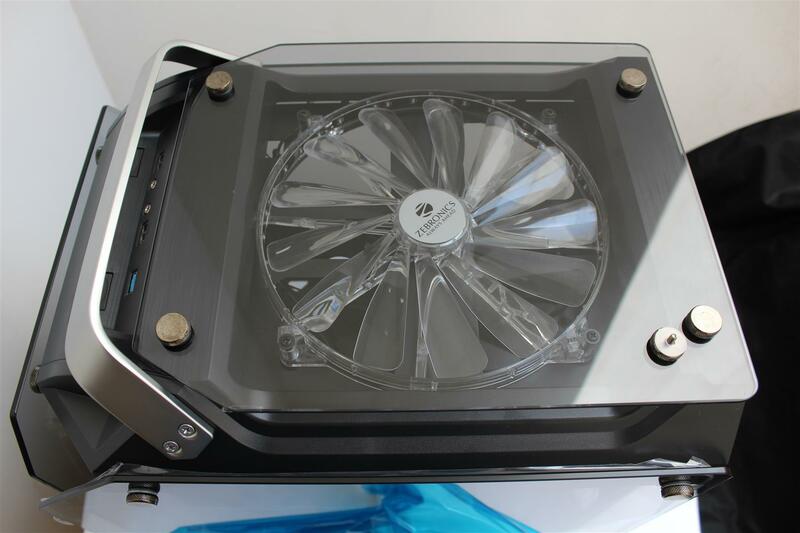 Fan is very quiet and produces decent air flow too, but still a way to monitor fan RPM was must. 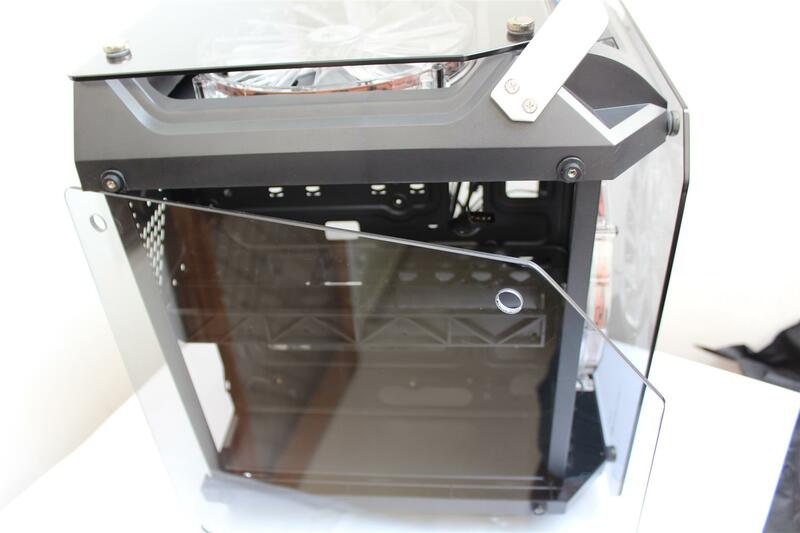 Second being a full tempered glass case one should have fan filters to keep all the dust under control, but this case is also missing them. 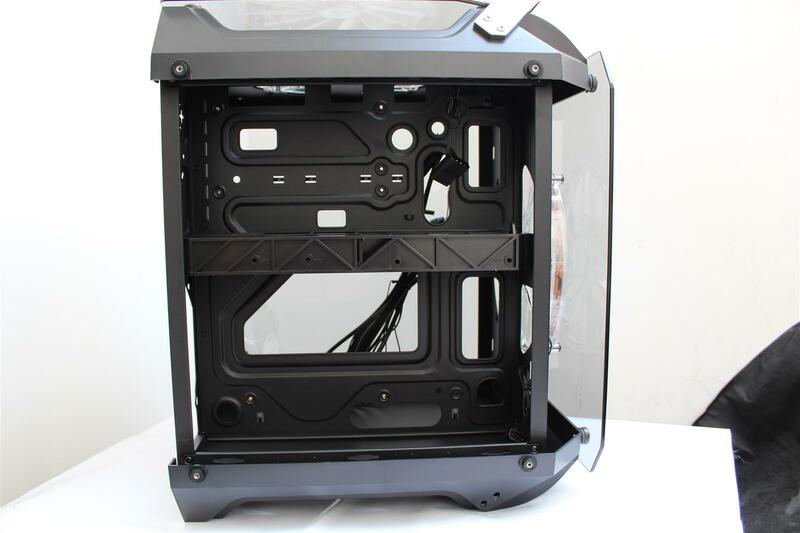 Back side of case have a cutout for PSU mount and near the motherboard back I/O section we have fan mounting holes. 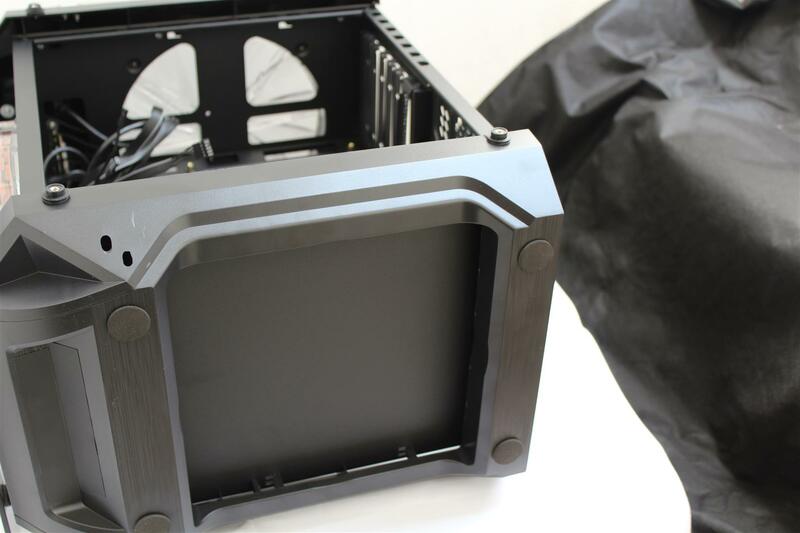 Case main frame is made up from 0.65mm(approx) thickness for metal sheet, which is properly black power coated with no sharp edges or corners. 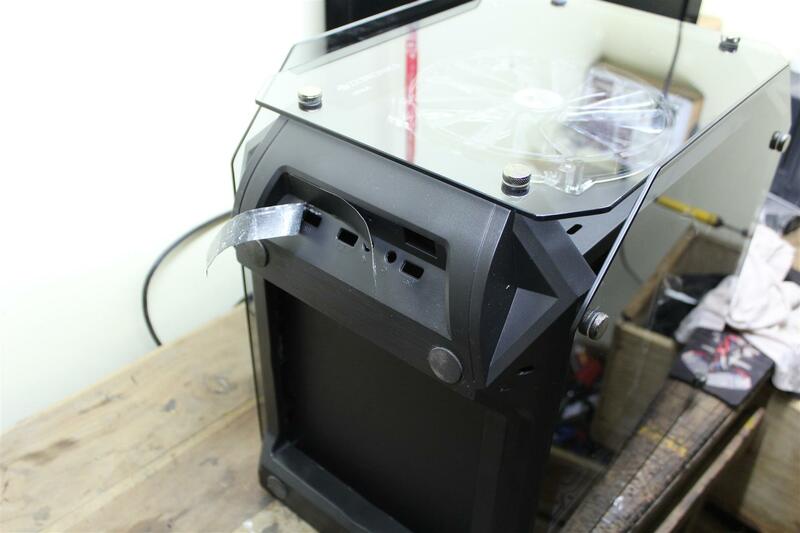 The big plastic frame in the centre of the case is responsible for two HDD mounting. 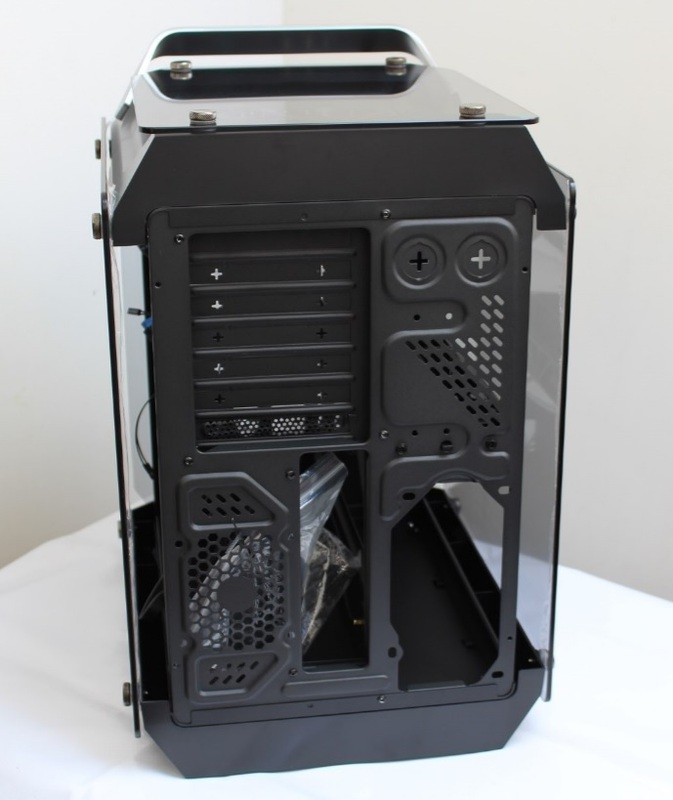 Two SDD can be also mounted but via four screw holes on the back side of the case. 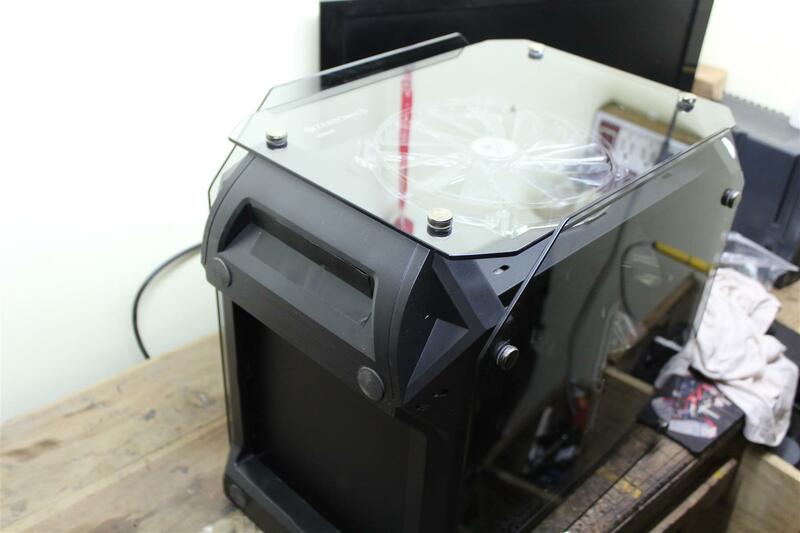 I would rather like to have a two bay back slide-in type HDD/ SDD mount with easy access from back of the case. 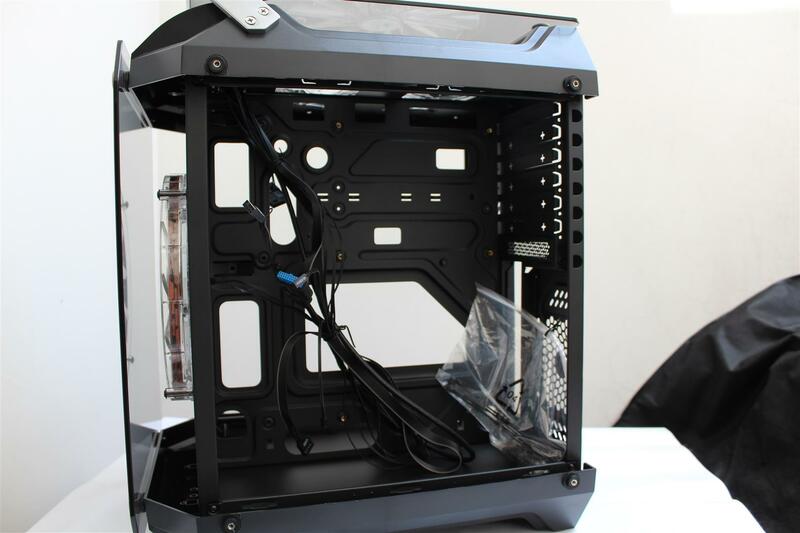 Case has proper cable routing holes and mounting points for proper cable management. 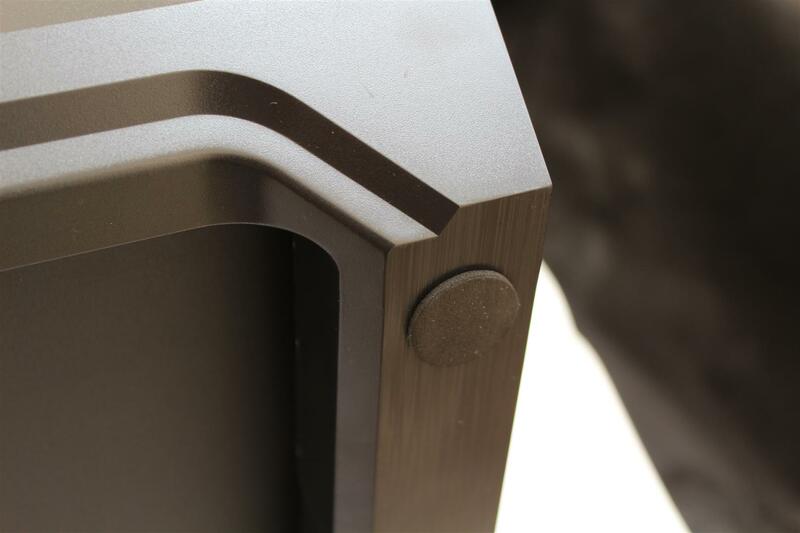 Base is having stick-on type soft rubber feet gives whole build a rigid feel when placed on a table or flat surface. 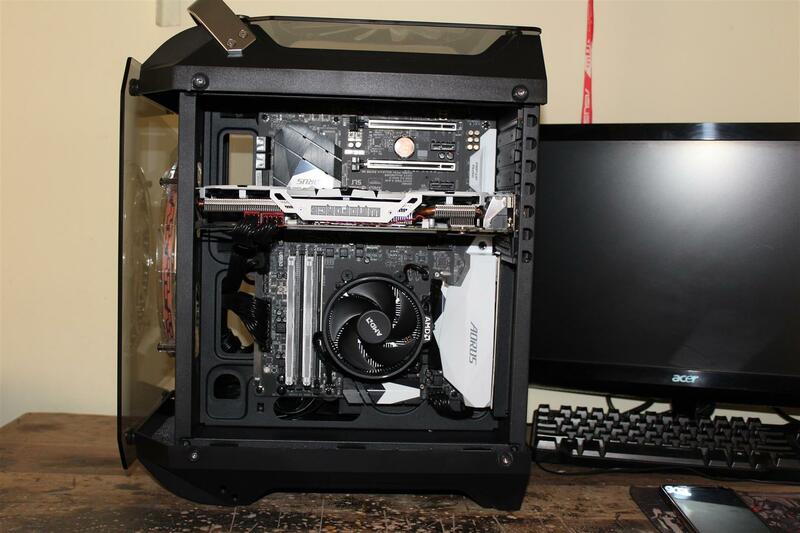 Hardware installation was very easy and case supported an ATX motherboard with full length three fans graphics card with all proper cable routing and management. 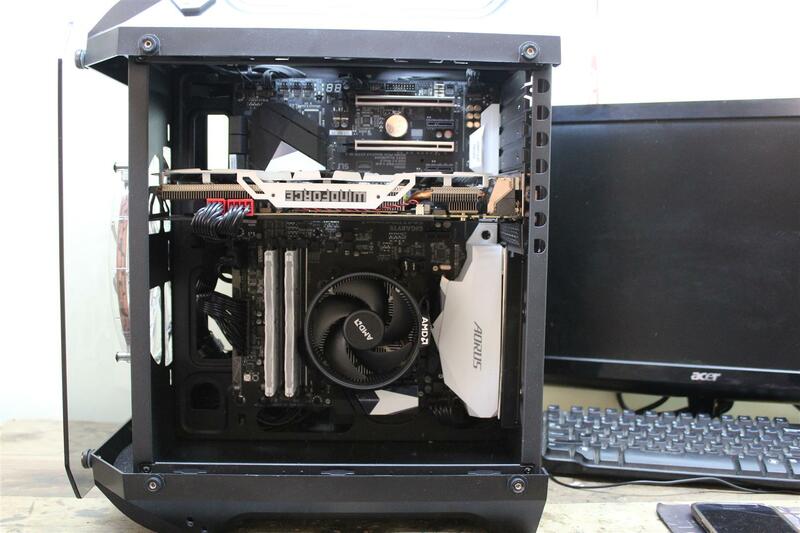 Two 200mm fans were very quiet and kept the AMD Ryzen 1700X system overclocked to 3.9GHz very cool. 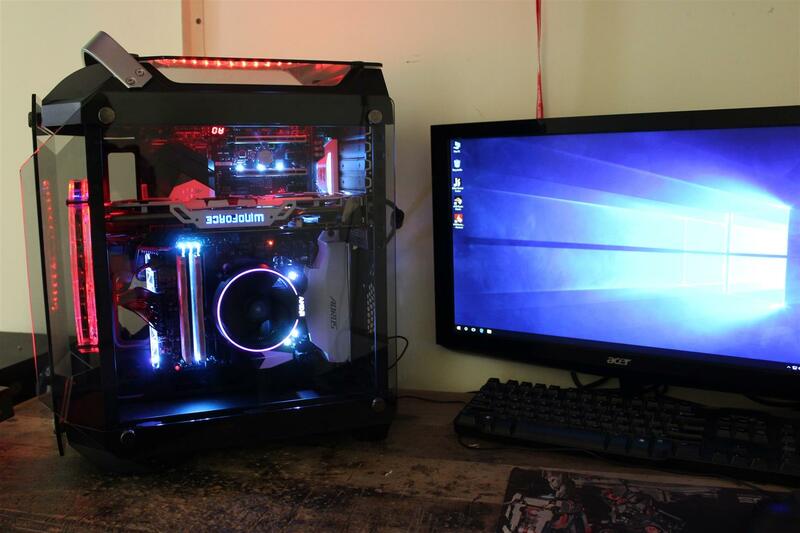 Along with Gigabyte Windforce GTX 970 graphics card during a hour long gaming session. 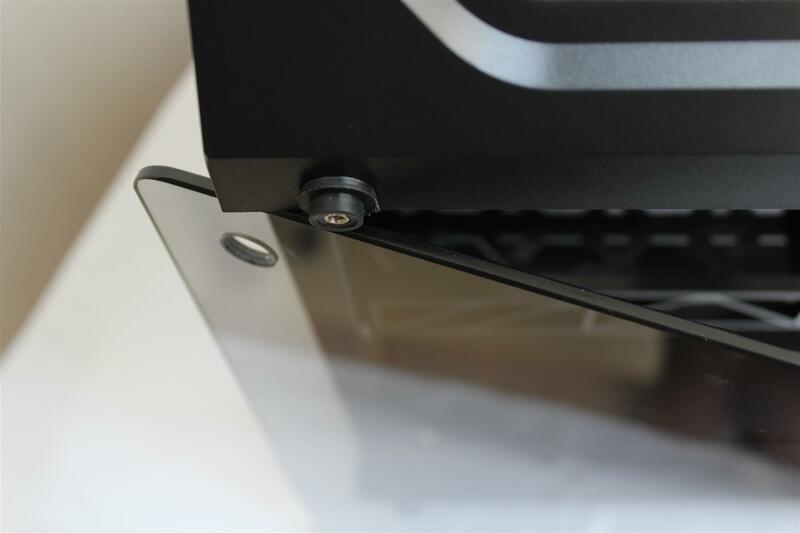 A better HDD/SDD mounting required. 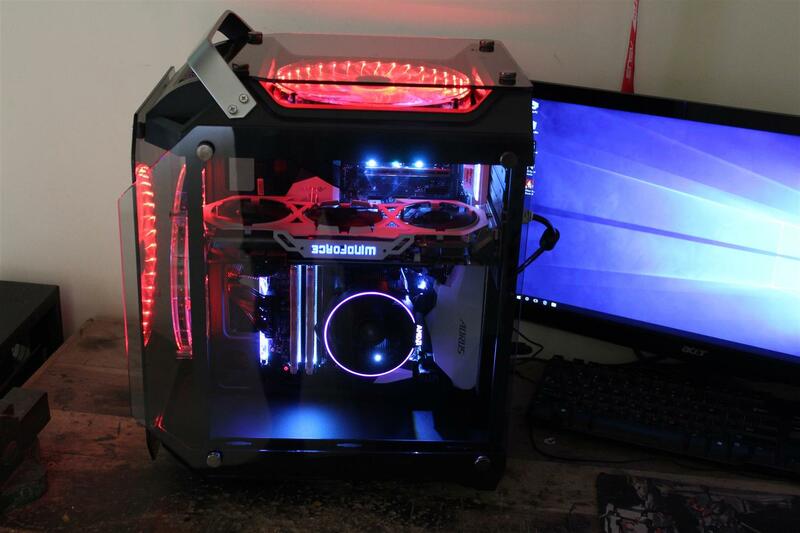 We are impressed with the attractive looks, solid frame build quality and use of good tempered glass panels in this case. 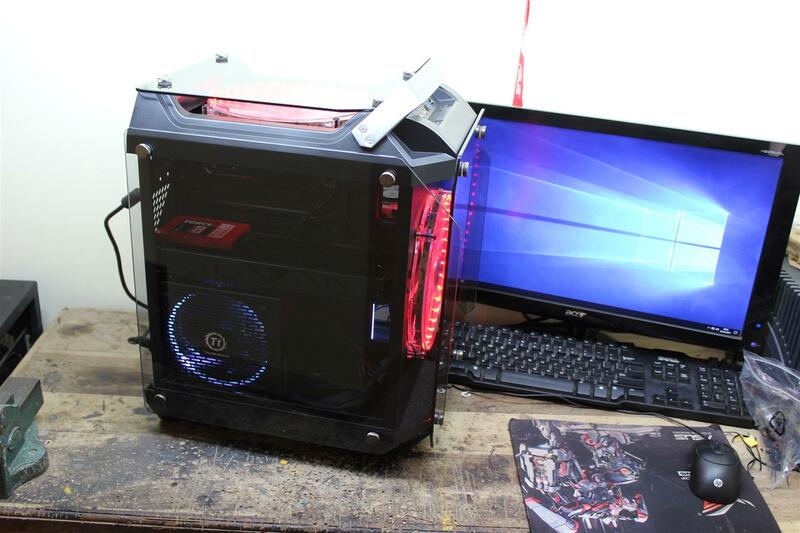 Being a new product line we had some good hopes with this case. 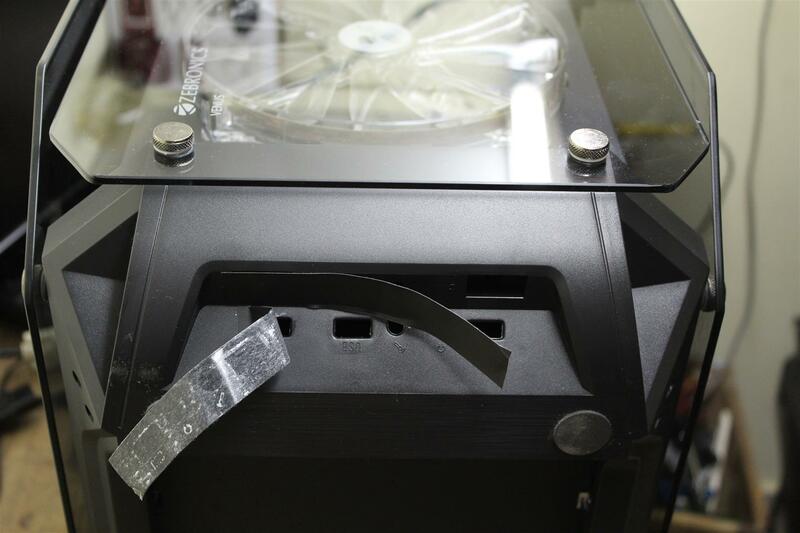 But during the review process I came across two piece of black tape under the case. Earlier I thought it might be some place for product serial no. sticker or like this. 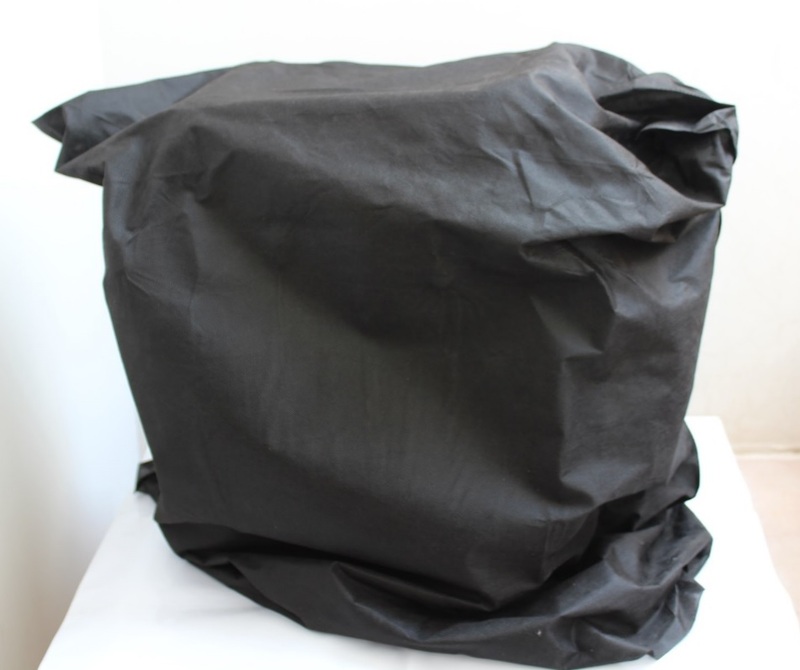 But it came out as tape is used to cover design flaws. 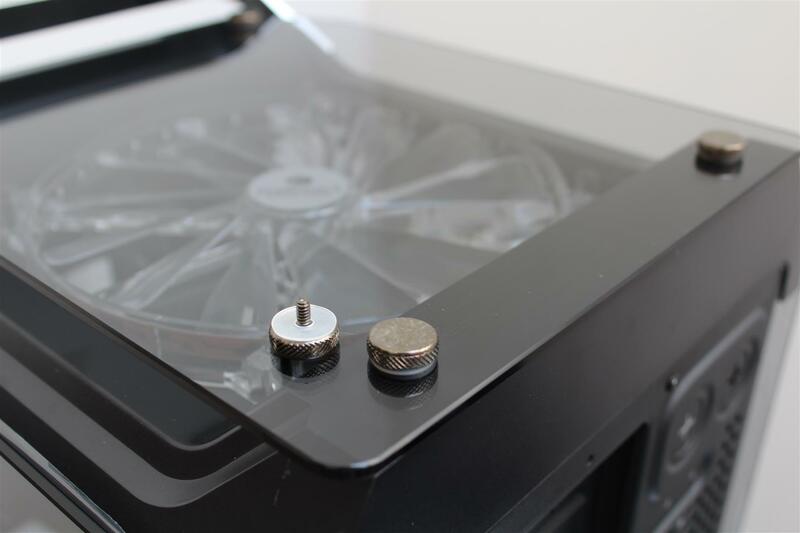 Zebronics have used the same top plastic panel in the bottom of case and covered the holes for switches and USB port with a black tape. 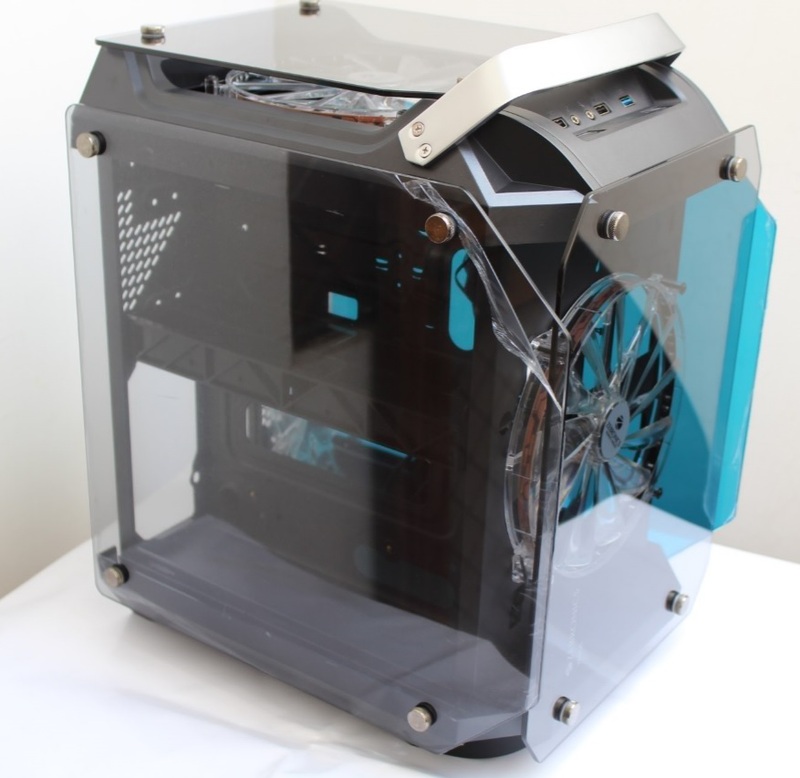 I was shocked to see this; they don’t bother to make a separate piece of plastic for the bottom of the case. 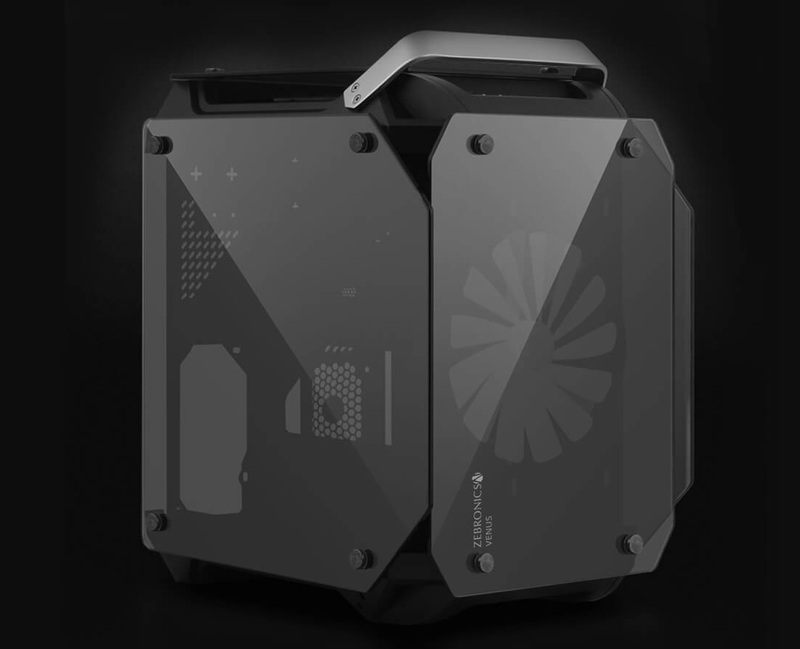 Beside this being marketed as a Premium Gaming product with a price tag of Rs.7.5K this case don’t provide fans with motherboard fan header type connector so that use can plug them into their motherboard. 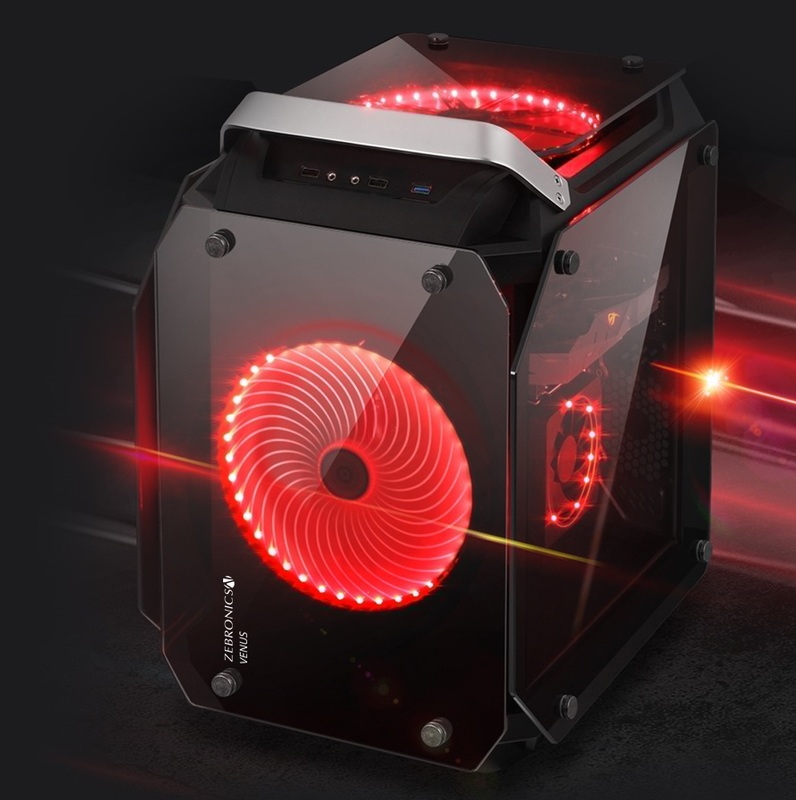 Stock 200mm Fans have bright red LEDs, but no way to turn them off except disconnecting the power to the fan. 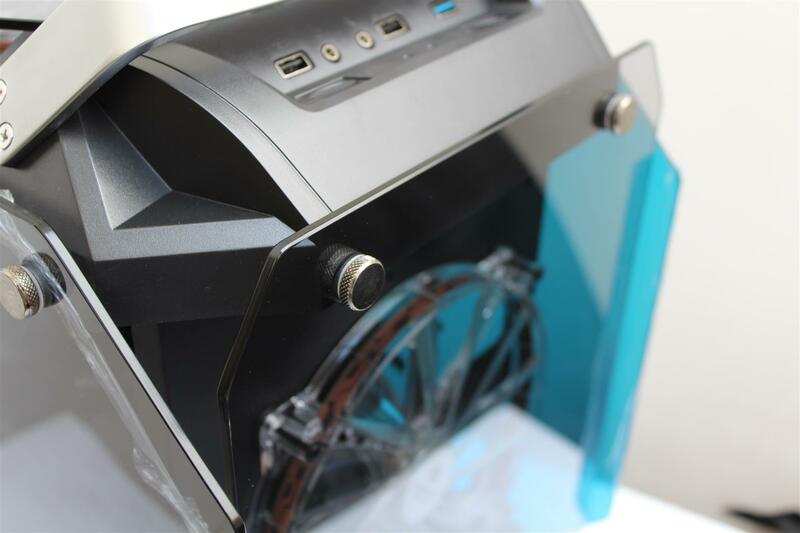 Being a gaming case user might what to control or turn off these LED during game play,, but this case fails to do so. 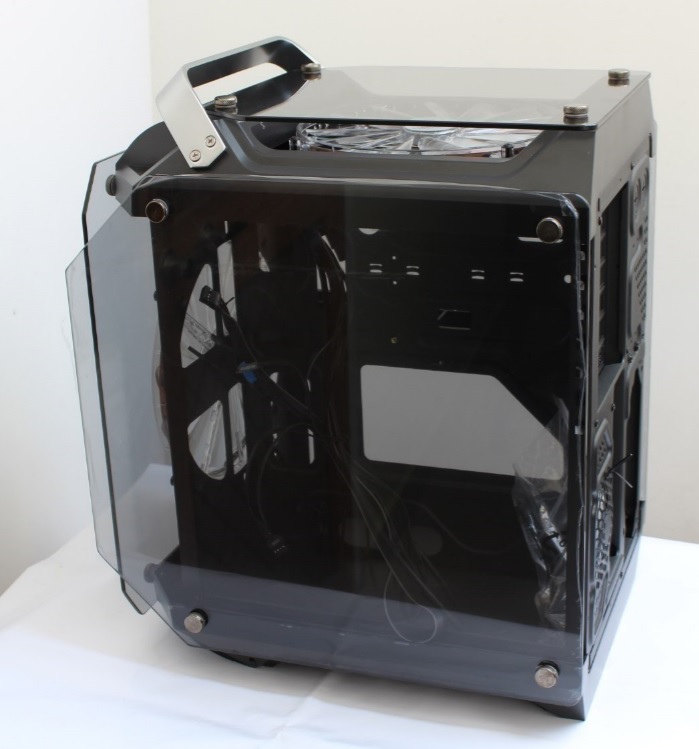 And a dust filter is must for a tempered glass case, but this case missed them too. 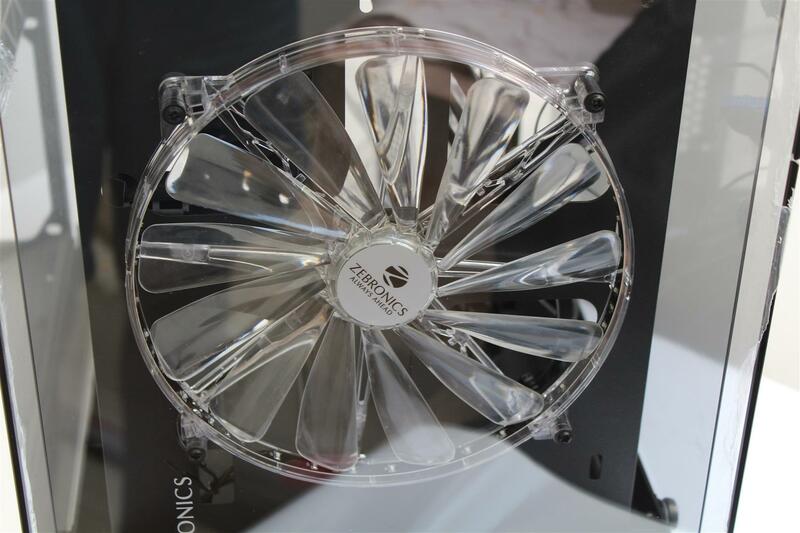 The price tag of Rs.7.5K was easily acceptable, if Zebronics would have added 3-pin fans with magnetic filter mesh and HDD back slide-in type mounting in this case. 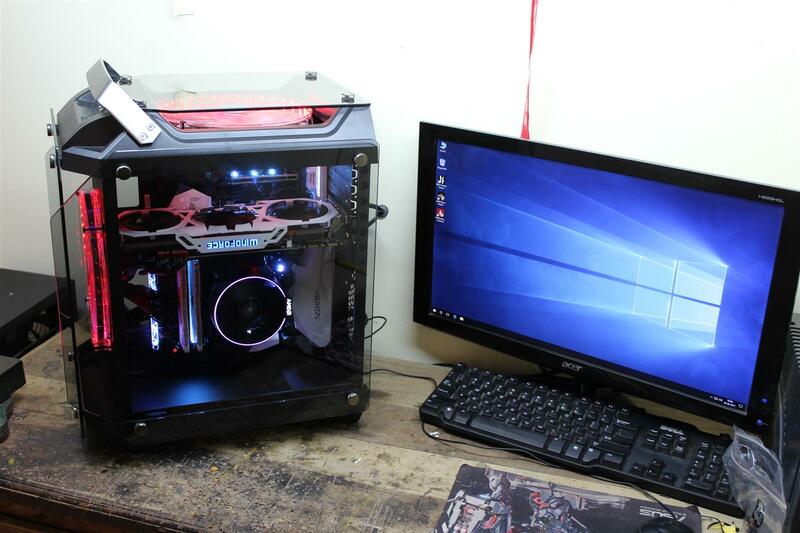 But with current package this case is little expensive. 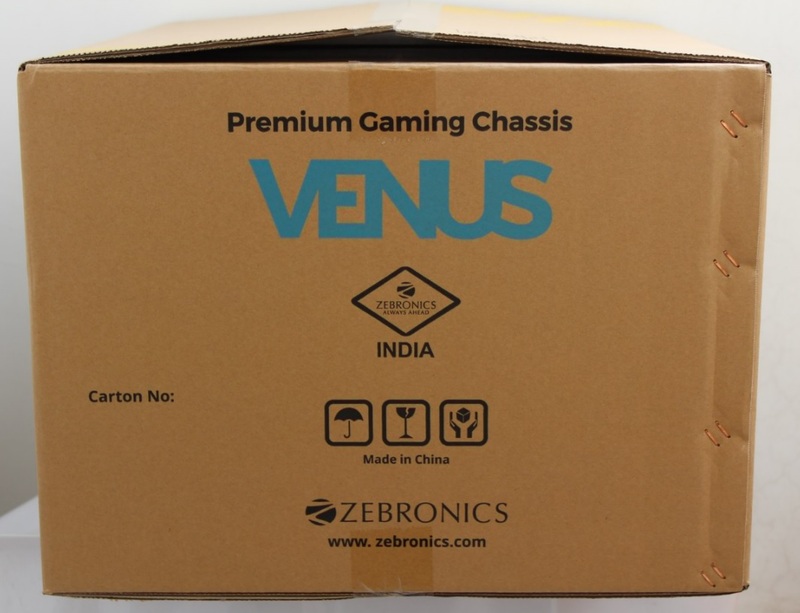 In the end I like to say, Zebronics has done a decent job in giving a unique look to this VENUS case with rigid metal frame, but in the process they have left few important requirements of Premium case aside. 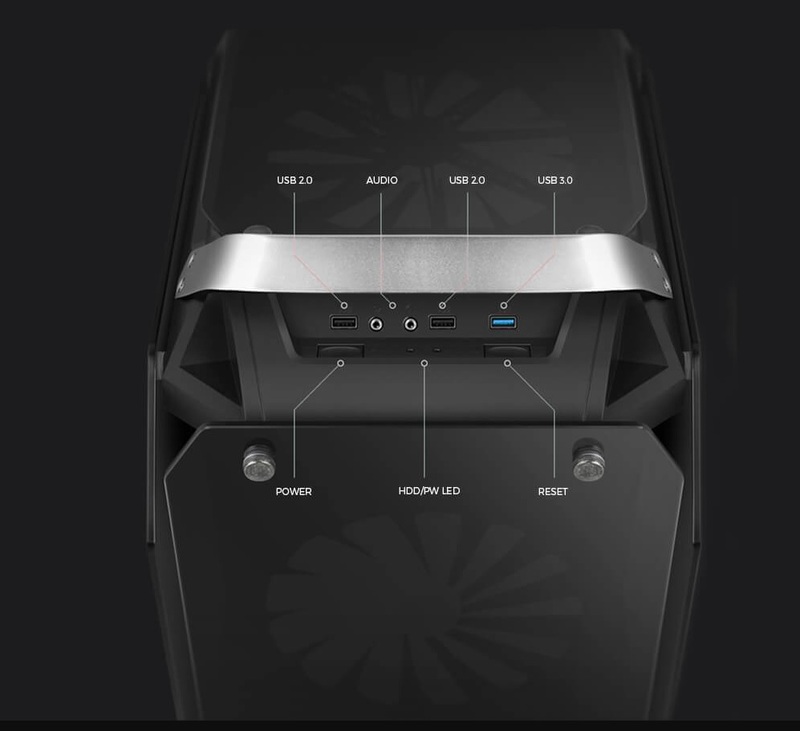 Price cutting might be their internal policy or requirement, but to cover the extra USB holes in the bottom panel, they could have gone little more creative and might have used a big Zebronics logo instead of a black tape. What should I call this lack of creativity or just laziness ?